Nike has just announced its latest fitness device that it hopes will encourage more people to be more active. 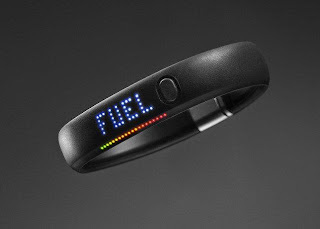 The FuelBand is a wristband that measures everyday movement, using a new metric called NikeFuel. You wear the FuelBand throughout the day, and it gives you readouts on its LED display. The FuelBand can calculate time, calories burned, steps taken, and that all important NikeFuel. The more active you are, the more NikeFuel you earn. You can set a daily goal and then see how close you get to reaching the goal. LED lights on the FuelBand progress from red to green as you get closer to your target. The FuelBand synchronises with the Nike+ web site via USB or via Bluetooth to an iPhone app. It will provide encouragement and motivation, says Nike, as you move towards your goals. 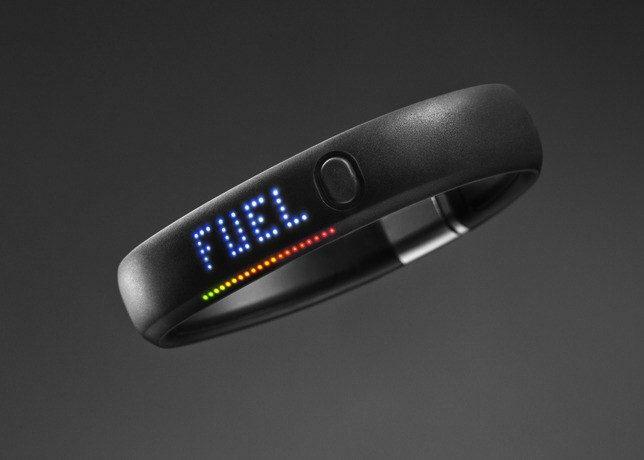 The Nike+ FuelBand will be available in the UK from 1 May for £139. We have, of course, requested a sample to put through its paces.